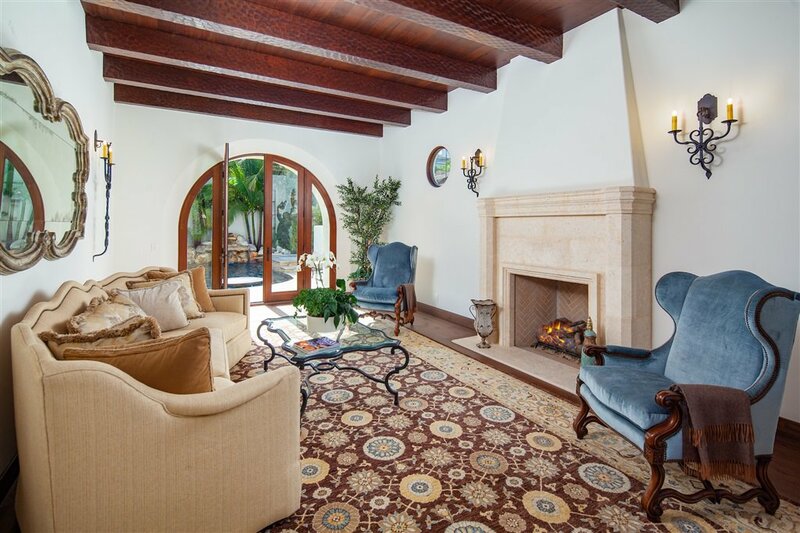 Welcome to one of the most spectacular homes on Coronado Island. 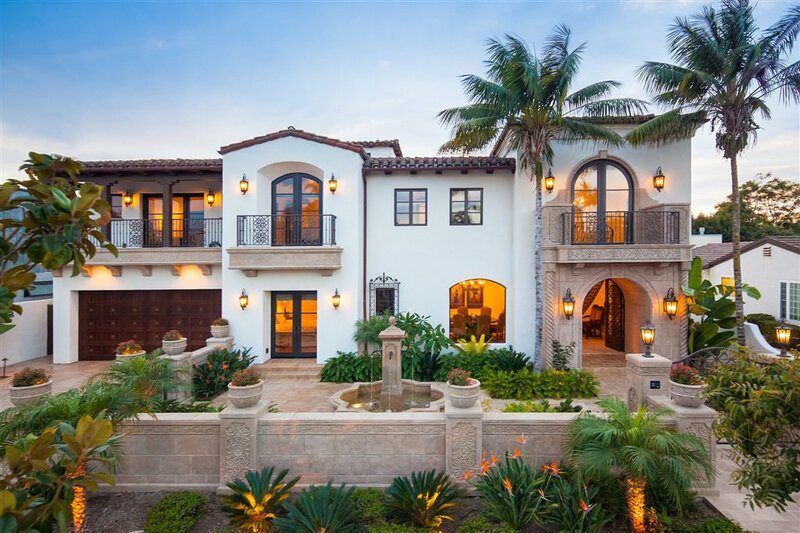 This stunning Spanish-style estate has everything you have dreamed of and more! 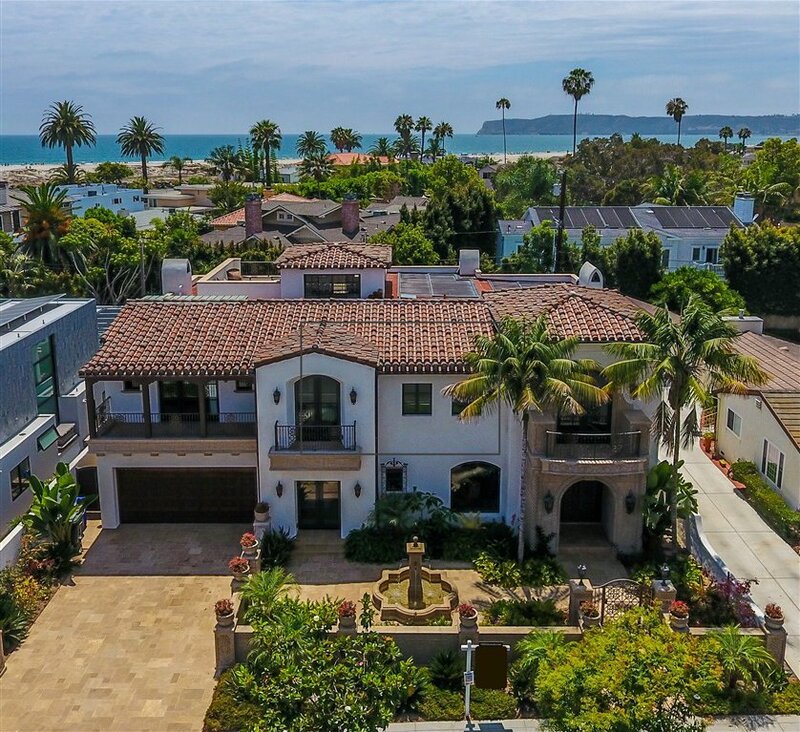 This custom home, designed for entertaining, boasts over 7,200 esf of living space including 5 bedrooms and 6.5 bathrooms on 4 levels, huge patios, roof deck with Ocean and City Skyline views, and a spectacular resort-style backyard! From the street, you know this is a special property! 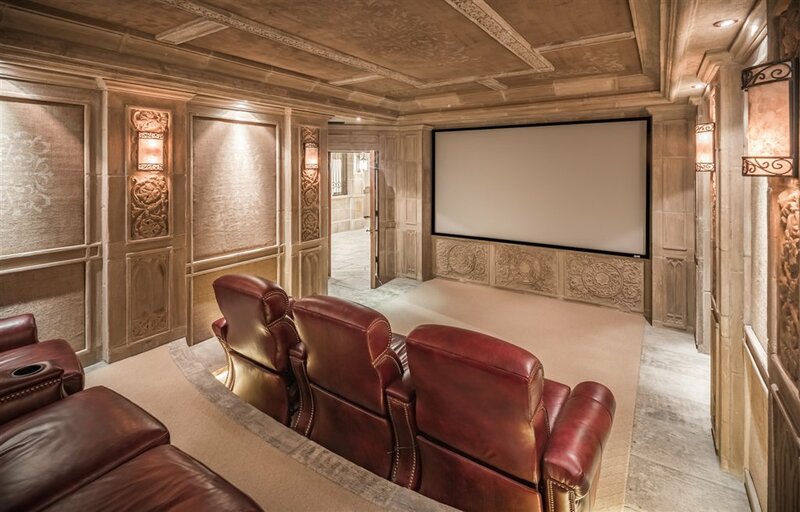 The wrought iron gates and railings, wood garage door, detailed custom stone accents, water feature and lush landscape add layers of interest that make this home truly one of a kind. 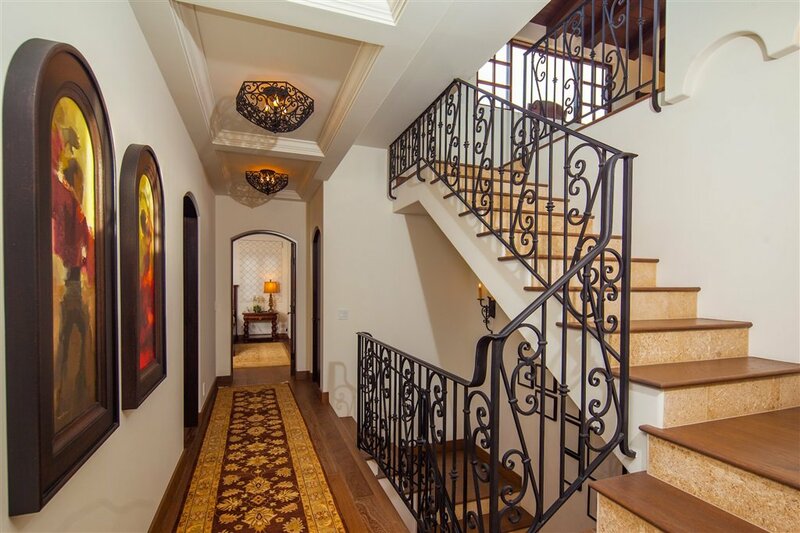 Entering the home, you are welcomed into a stunning formal entry with vaulted wood beam ceilings, gorgeous lighting, beautiful wrought-iron banister and warm stone floors. 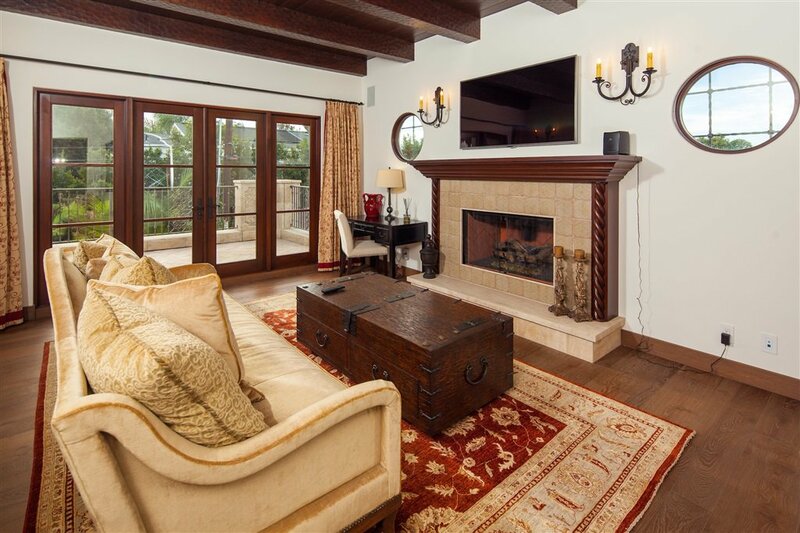 The entry flows into the formal living room featuring wood floors, wood beam ceilings and a stately fireplace. 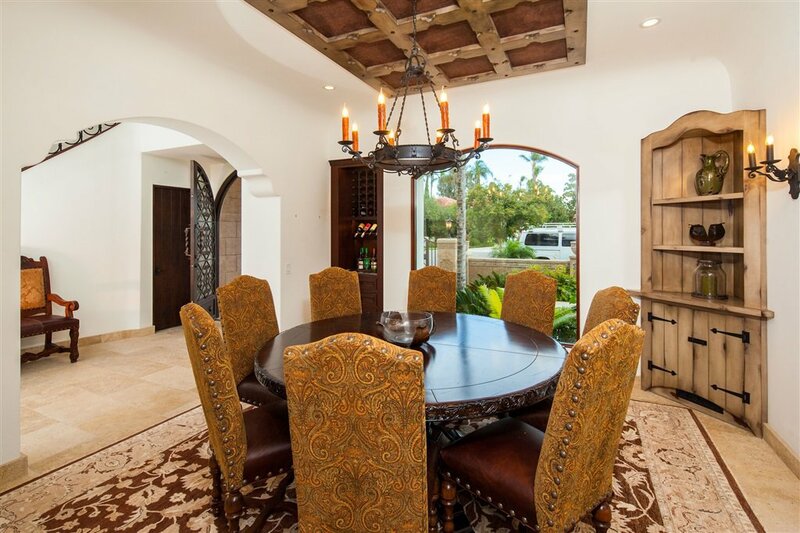 The formal dining, adjacent to the entry has a beautiful ceiling detail, gorgeous built-ins and perfectly fits a round table to seat 8. 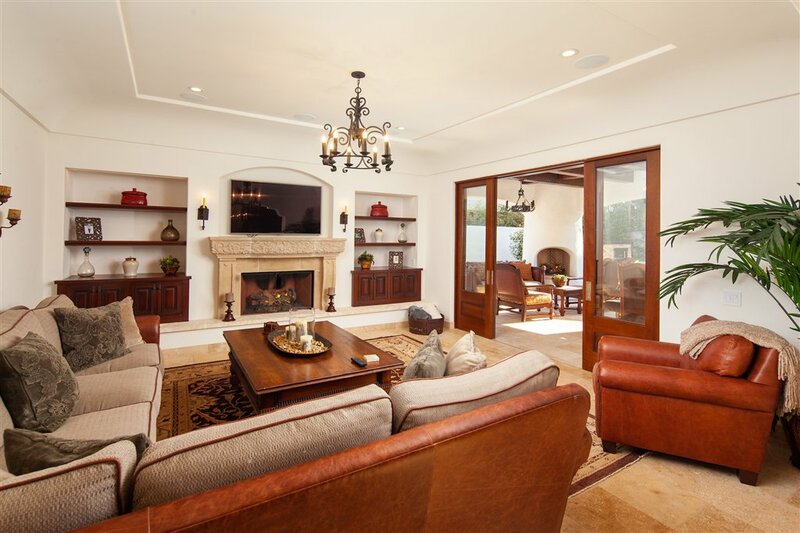 The Great Room is the hub of the home! The gourmet kitchen includes every amenity you can think of - custom dark-stained cabinetry with thoughtful details, large eat-at island with copper hammered sink and Dacor built-in microwave, Dacor 6 burner gas range with dual ovens, gorgeous tile backsplash, walk-in pantry, built-in refrigerator and beverage station bar with Miele coffee machine, wine fridge and lots of storage. 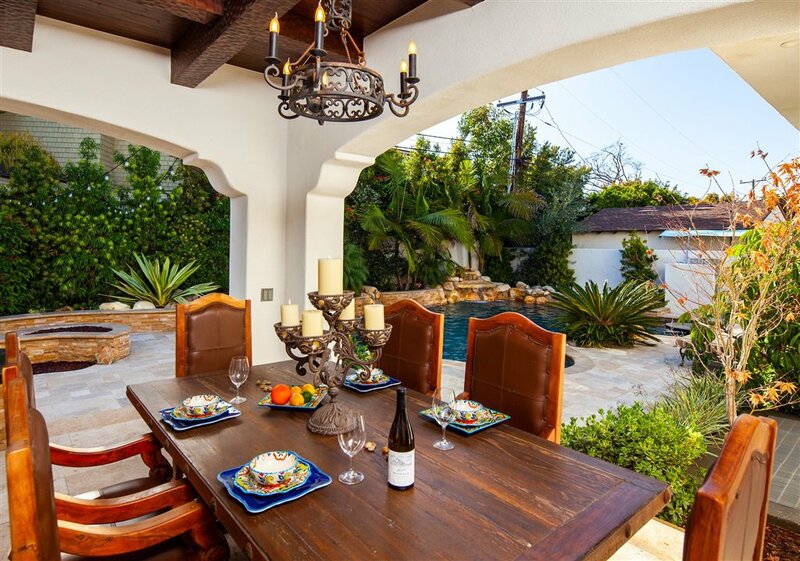 Banquette breakfast nook offers additional seating and casual entertaining. 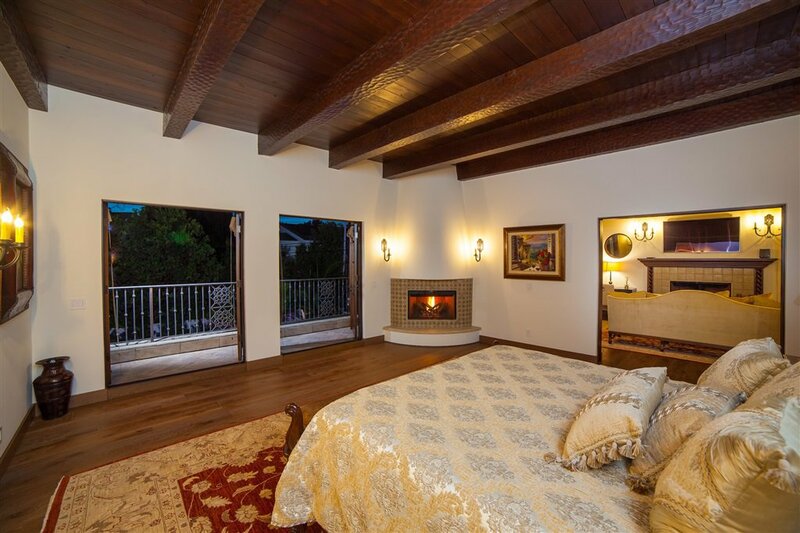 The adjacent family room is highlighted with stunning fireplace, outfitted built-ins, coved ceilings, and custom retractable doors that bring the outdoors in! 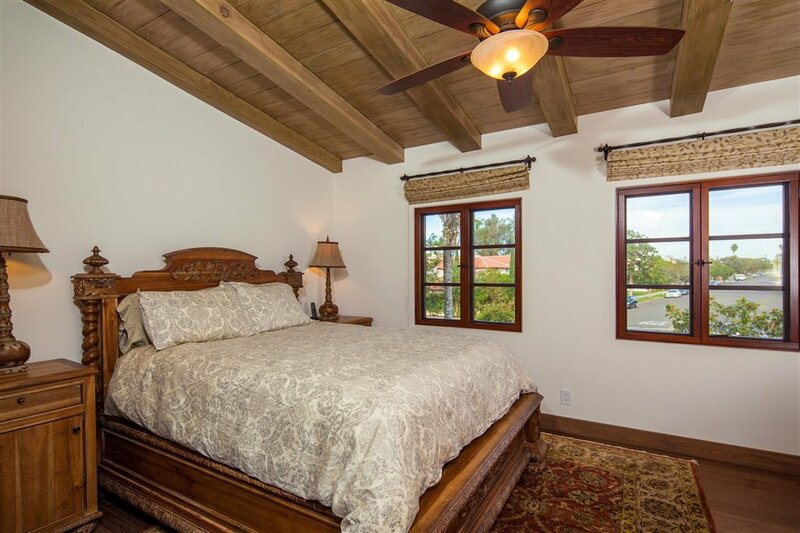 The 1,000+ esf Master Bedroom retreat is a tranquil space! 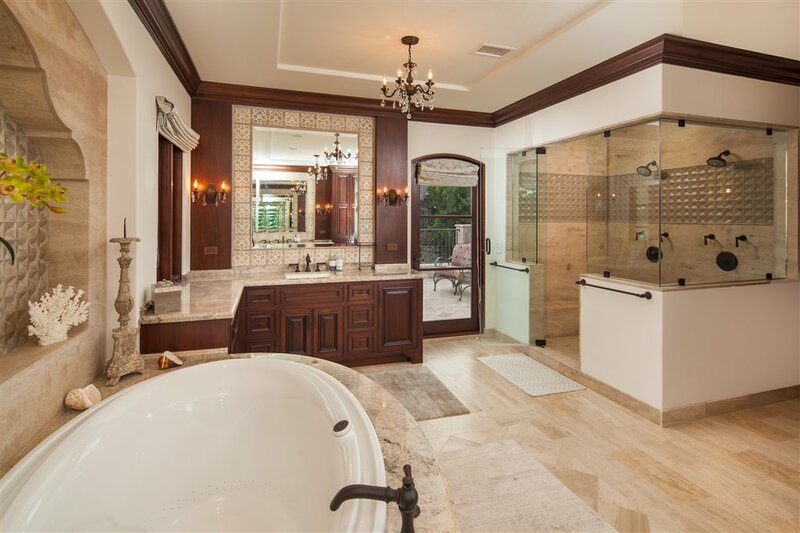 The retreat features a private living area den with fireplace, bedroom with fireplace, two walk in closets and luxurious bath with dual vanites, large tub and luxurious walk-in shower with dual shower heads. 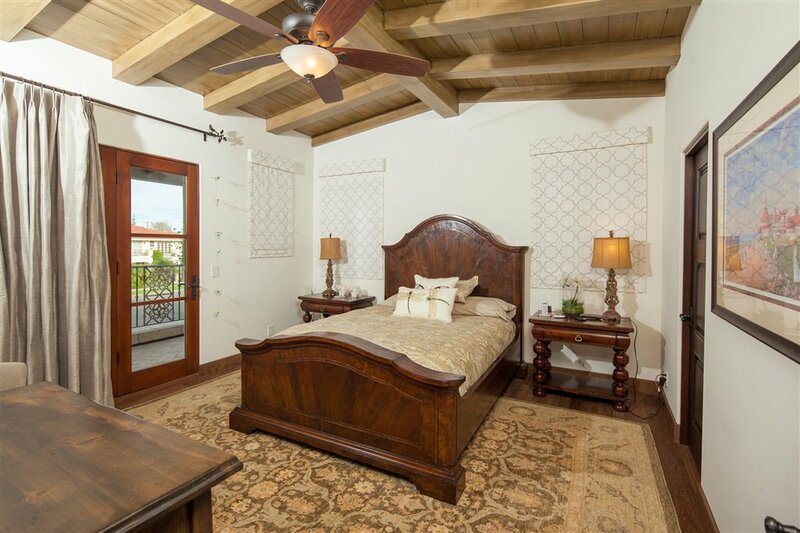 All rooms lead out onto a large private balcony terrace over looking the backyard. 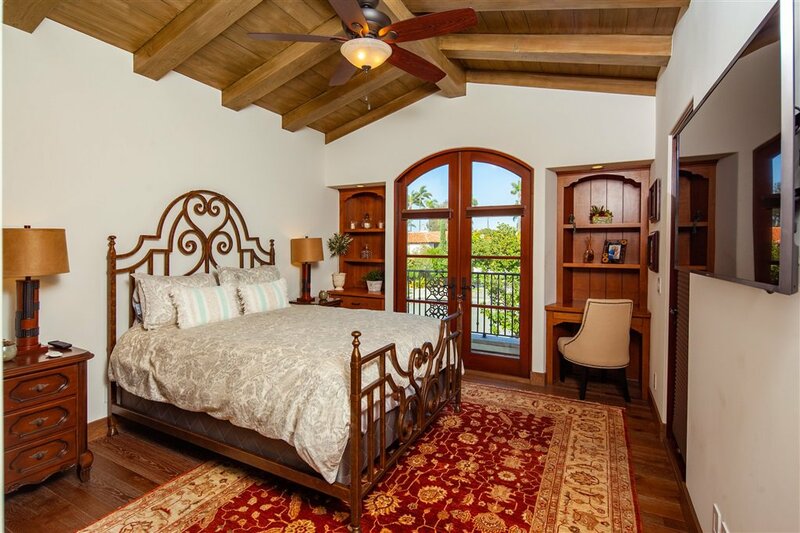 There are four additional bedrooms - one bedroom suite on the entry floor. 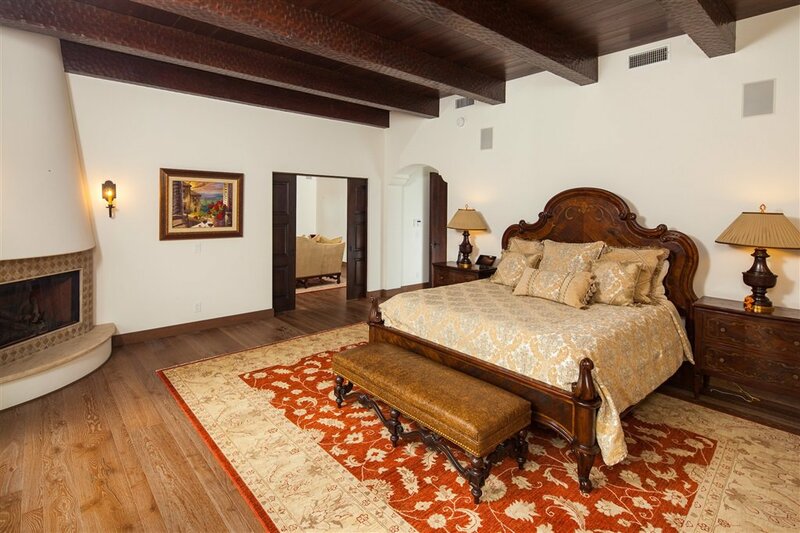 Each room has beautiful hardwood or stone floors, wood beam and coffered ceilings, large windows and custom built-ins. 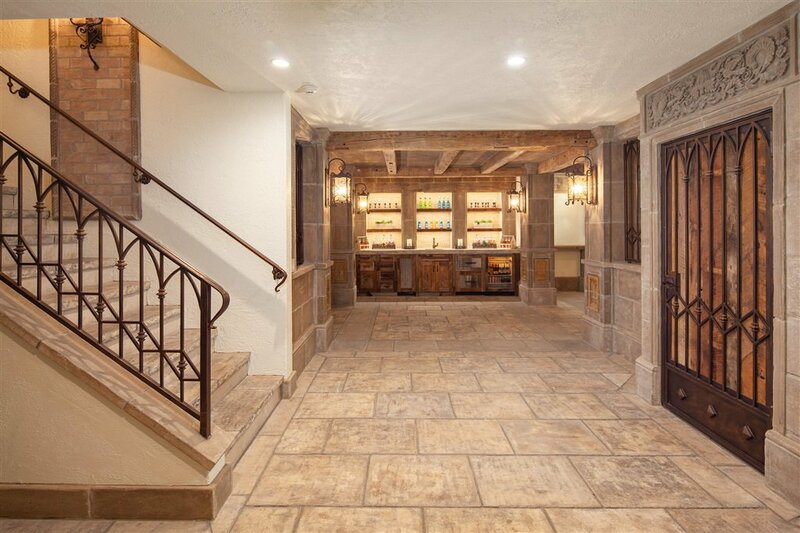 The lower level basement of the home is truly amazing! 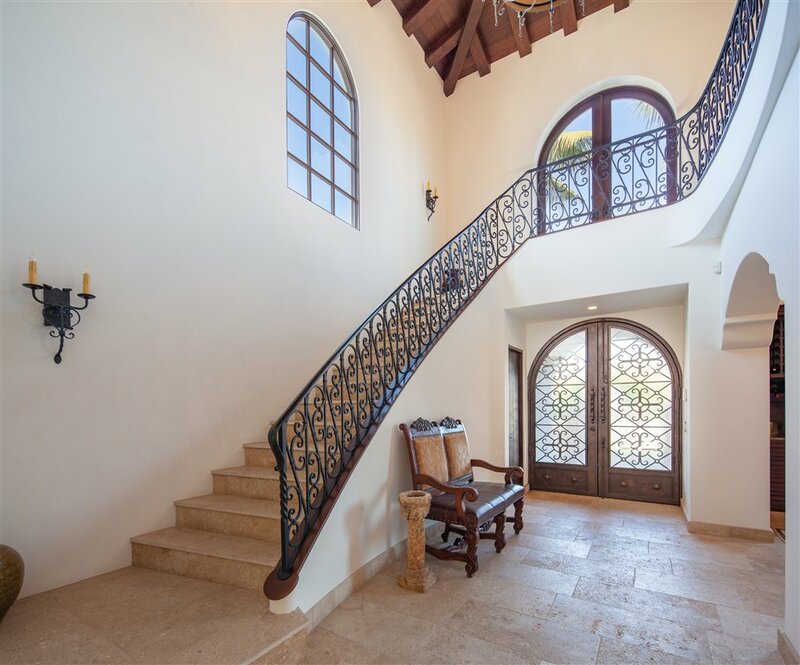 As you walk down the stairs or exit the elevator, you enter into an old world design of exposed vintage beam ceilings, brick inlays, stone floors, pre-cast stone surrounds and much more! 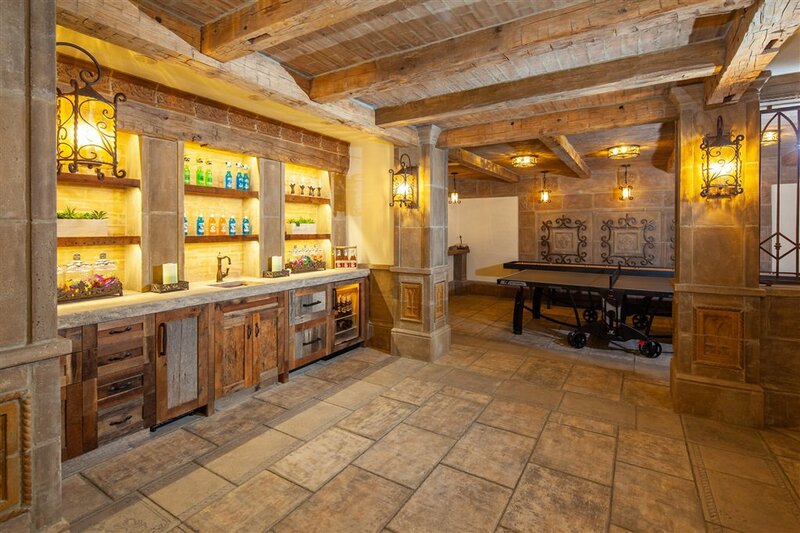 The lobby features a wet bar along one wall and offers access to the large home theater, game room, exercise room, large family room, and bonus storage room. 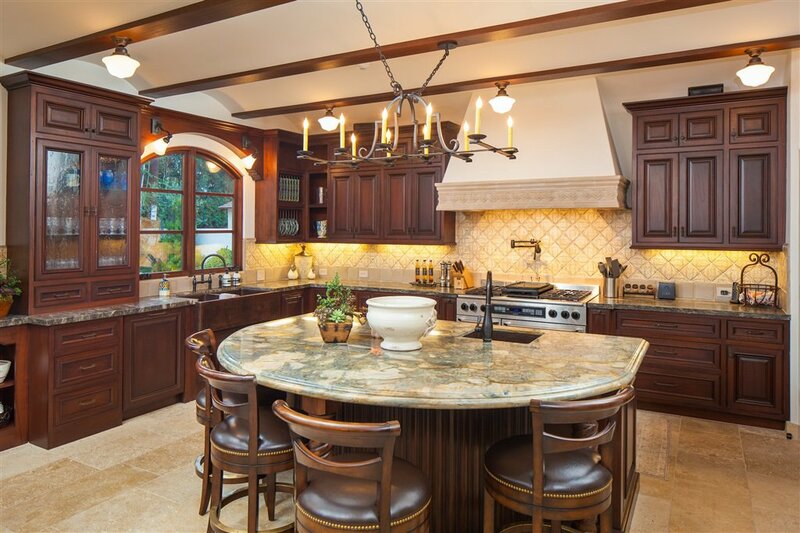 This is the perfect spot for intimate gatherings with family and friends or the kids hangout! 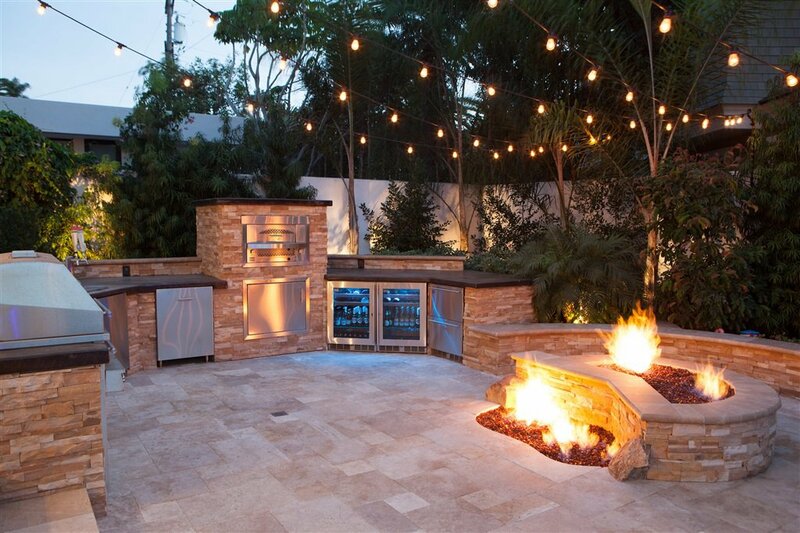 The well-appointed backyard will make you feel like you are on vacation! 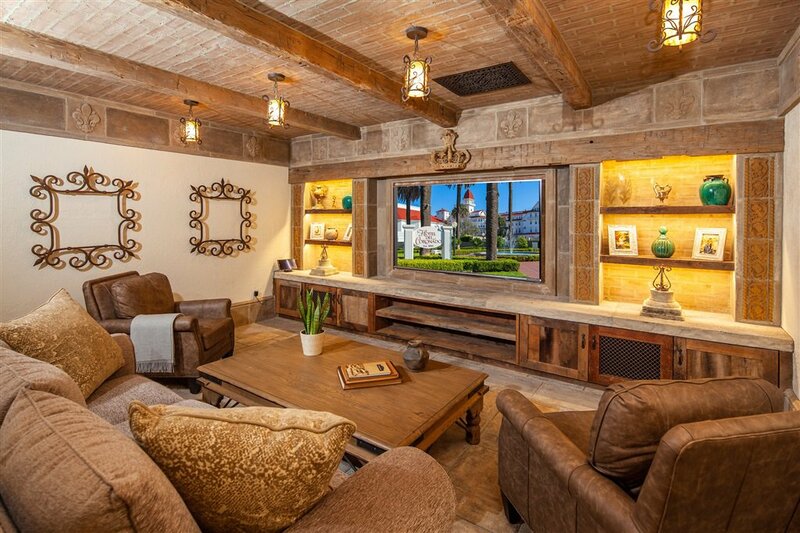 The large loggia is accessed from the family room and accommodates a living and dining area featuring wood beamed ceilings, stunning lighting and large fireplace. 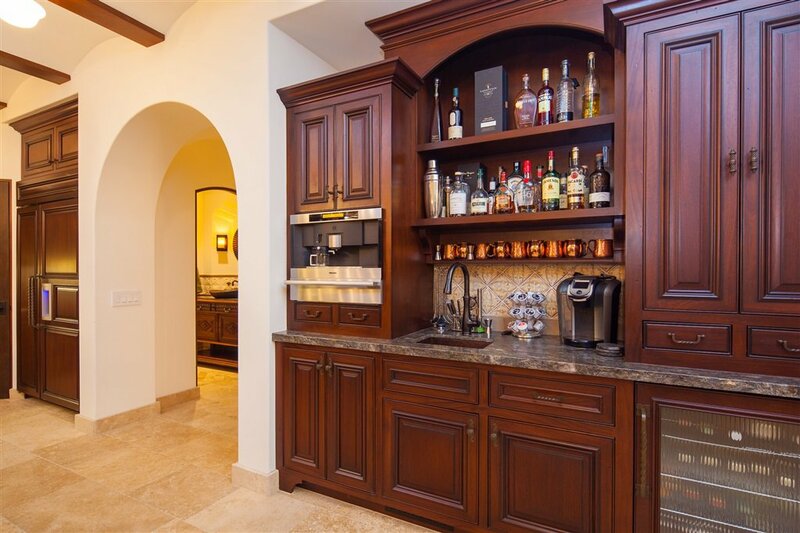 The gourmet outdoor kitchen is highlighted by a Kalamazoo pizza oven, BBQ, 2 wine fridges, 2 refrigerator drawers, multi-spout kegerator and custom tiered fire pit. 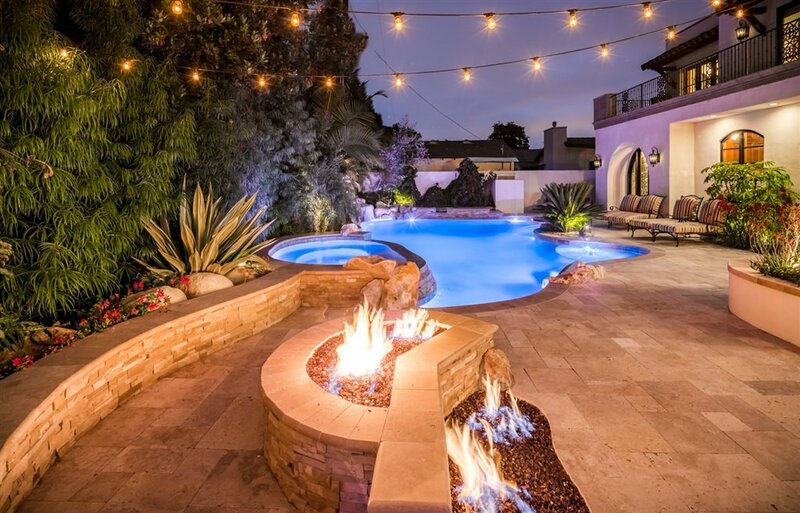 The solar-heated pool has a spa, water falls, diving board, and custom swim up table! 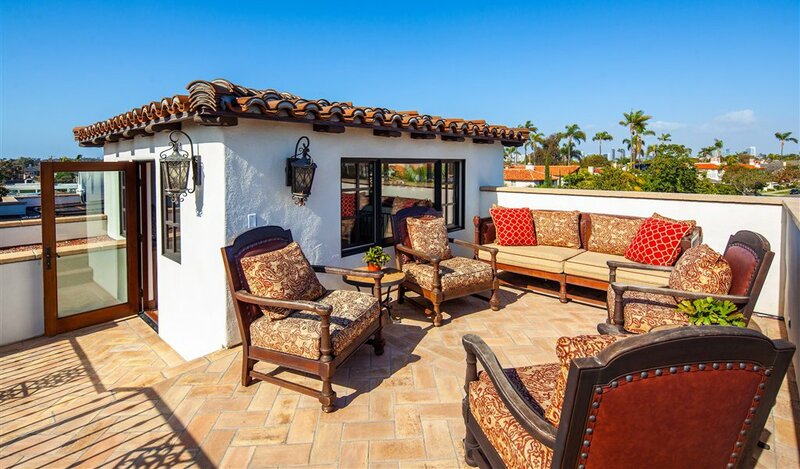 This is the perfect spot to enjoy vacation style living and beautiful Coronado weather year-round.